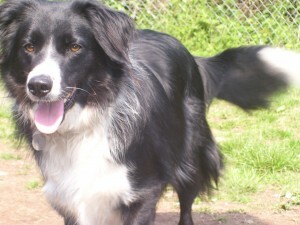 Anthony is a four-year-old border collie who adopted his feeders about two and a half years ago. Until that time he had been rather unfortunate in selecting feeders of ill-repute. Anthony likes politics and mobile phones, walking on the beach, running in demented circles and chasing yellow squeaky toys. Geoff is the alter-ego of Gryffindor, a six-year old mix (some Golden Retriever but who knows what else). His interests include duck chasing, politics, rugby, and mobile phones. When not out walking, he can be found regularly curled up with either the New Scientist or the Economist.